Learn how to use the tools and techniques of Adobe's Photoshop CS6 to edit and enhance your photographic images. 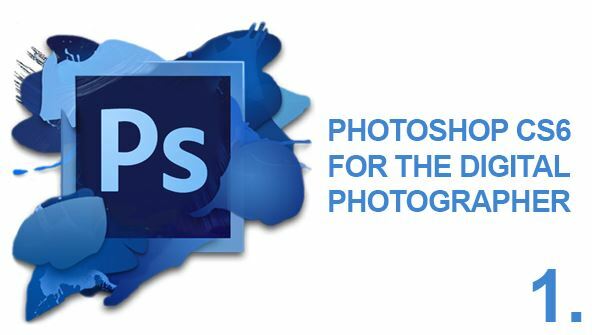 Adobe's Photoshop CS6 is a powerful software solution providing support and specialised editing tools for digital photographers and graphic artists. In this course, you'll master techniques to make the most of your digital images and add a professional polish to your work.Designed for those with no image-editing experience, this class will take you from novice to accomplished photo editor. In Photoshop CS6, Adobe has combined the power of their award-winning technology with sophisticated tools that produce dynamic results. This course offers simple, step-by-step instructions for correcting flaws, enhancing the final product, adding text, and preparing images for email and the Web. Along the way, you'll learn how to use the tools that make this software so popular and unique in the world of digital image editing. As the high-end program in Adobe's collection of photo-editing software, Photoshop CS6 gives users all the tools they need to create outstanding digital images. Because this course is specifically targeted at photographers, you'll come away with a collection of useful techniques and quickly start seeing amazing results in your images! From the moment that you enrol in Photoshop CS6 Digital Photography you will become an integral part of our learning community. You will experience the perks of classroom studies such as chatting by the water cooler or sharing your opinion on a specific task, all in your own home.